One of our favorite blueberry recipes is the Blueberry Syrup recipe on this website. I hope you check it out. 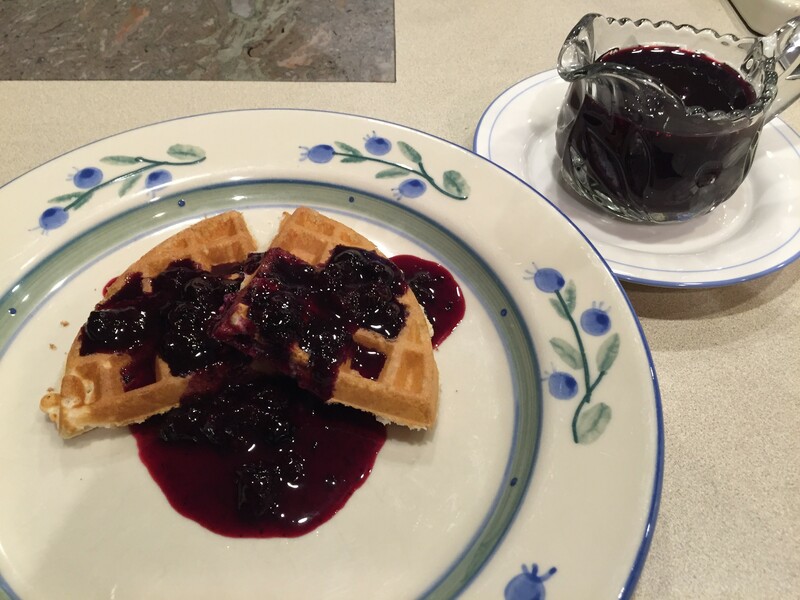 We're planning to have "breakfast for dinner" tonight, with banana waffles and blueberry syrup. I'm sorry, you'll have to make your own!